If you live in the Portland, Oregon area; my rabbit plush pattern is now available to check out as part of the Multnomah County Library's zine collection. I love libraries so much it's super cool to have something I made in one. Alec and I went up to Montreal this past weekend to participate in a 24-hour comic event hosted by GrandPapier. 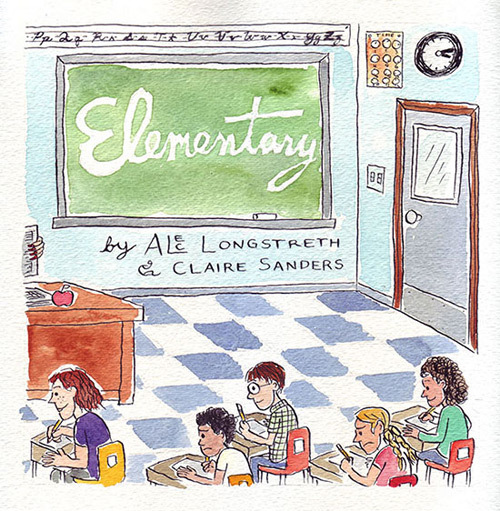 Since Alec is a cartoonist, he has done many 24-hour comics, while I've never really drawn a single comic. I was overwhelmed to make my first comic within 24 hours, luckily Alec wanted to collaborate with me. He drew, inked and came up with the story (with a little input from me) and I painted it with watercolors. We made it in 17 hours and 45 minutes. Good thing I have lots of experience sitting and doing one thing for many hours. It was fun and maybe next year I'll try one all by myself. Read the whole comic here. I have two rabbits at home: Patty & Selma, so it seemed natural to make a plush version of a bunny. I didn't do much photo research since I watch them make cute poses all the time. 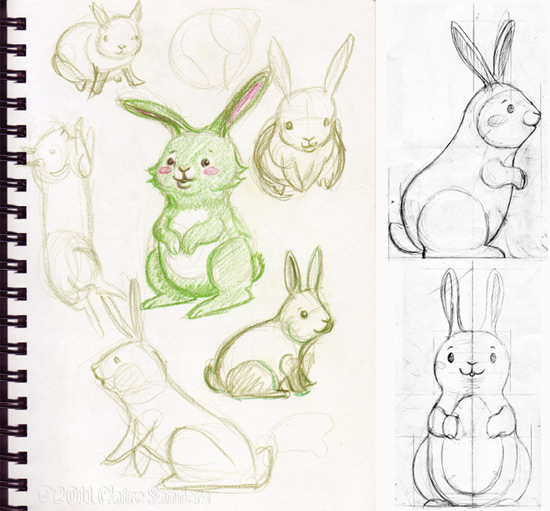 The only challenge was using an upright pose and making sure the plush bunny didn't fall over when it was finished. 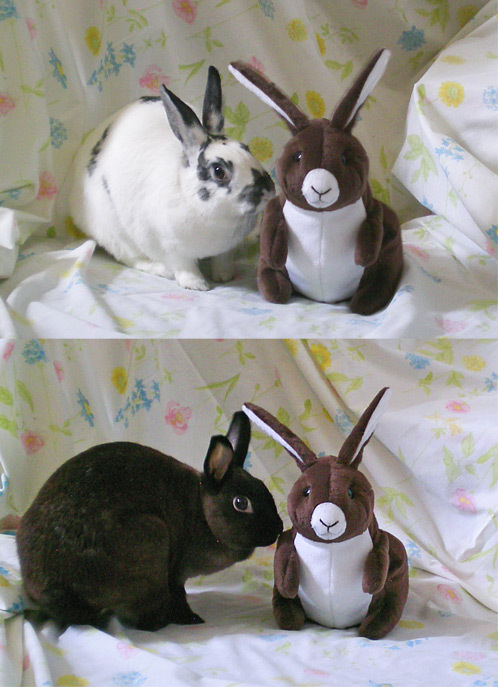 I forced the real bunnies into a photo shoot with one of plush that I made, they were mostly into it since they like investigating new things in their enclosure. If you don't have your very own bunnies at home you can make the plush version with the rabbit pattern available in my store. 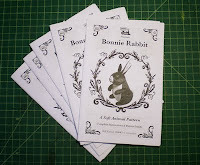 I also have a couple plush rabbits for sale in my etsy shop: fluff engine. The winter be gone spell finally started working and spring has come to White River Junction. That basically means I'll be taking a break from knitting. It just isn't as fun to knit in the summer, holding lots of wooly yarn when it's bathing suit weather is kind of a bummer. I know there are lots of summery things to knit, I'm just usually less into it. So one last post about knitting until fall hits. This scarf came from my first tries at knitting in the round with double pointed needles a couple years ago. Knitting scarves in the round is super time consuming and I've since found faster and easier ways to make scarves that don't roll at the edges, but it does make for a very warm scarf. 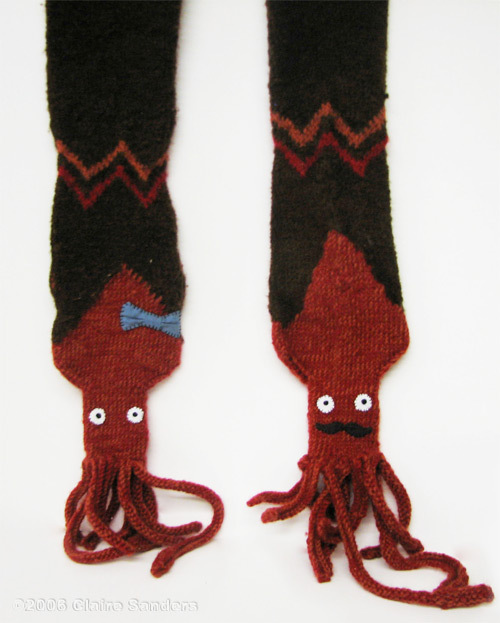 I started by randomly knitting a little squid toy, which gave me the inspiration to flatten it out into a scarf shape. I made this squid scarf especially for my awesome friend Liz Prince, who loves squids and the color brown. Like the DNA scarf, this scarf is knitted in the round with squids making up the fringe ends. The arms and tentacles are made by casting on a bunch of stitches, knitting 2 rows then casting off. This is repeated until you have 8 arms and 2 tentacles. Then you create a circle of arms and pick up the amount of stitches to want to knit with from the tops of the tentacles. After several rounds to make the body of the squid start to increase to make the mantle. With making the mantle shape introduce a contrasting color that will be the body of the scarf. I added the chevrons of red and orange to give it some more color. I hope everyone has packed up their scarves and are getting ready for summer fun.